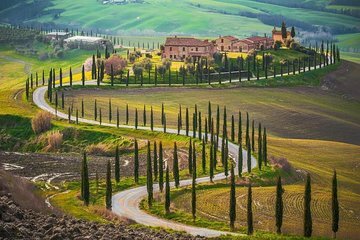 Spend a day exploring the Tuscan countryside on this full-day tour from Florence. Visit three charming towns—Monteriggioni, Siena, and San Gimignano—making stops along the way to visit a UNESCO World Heritage Site, a farmhouse in Chianti (where you’ll sample wines and snacks), and more. You’ll also enjoy a full lunch and a bit of free time for shopping.